Consumerizing Enterprise: Chromebook, Surface Tablet, or iPad? I have been reading a lot about how the new Microsoft Surface tablet will be an iPad killer. I don't think iPad will roll over and die anytime soon, but it's interesting to see how it fares against Google Chromebook and whether the post-PC era is finally here. I am a big fan of Chromebook. I bought both the generations of Chromebook weeks after launch. The first Acer one was a gift for my dad visiting from India last year. He needed an email/ browsing laptop with no virus/ maintenance hassles and Chromebook was the perfect choice. I bought the second generation Samsung Series 5 550 three weeks ago. It's been the perfect 'couch-surfing' tool, while watching TV for quickly checking email/ social media/ news. However, Chromebook has a marketing challenge in defining its niche. It is neither a lighter and faster-to-boot-up Netbook (lacks Windows apps) nor a ‘tablet with a keyboard’ (lacks touchscreen). Neither positioning is sufficiently compelling to mainstream users, as shown by its poor sales. Need for Content Creation: Tablets are great toys for consuming content, but they are poor tools for generating content, howmuchever skilled you are in typing on the glass. iPad Safari is not the greatest browsing experience for web sites either. Chromebook solves this problem elegantly by offering a sturdy laptop with near-tablet portability and long battery life. No More Offline: The biggest complaint against Chromebook is that it’s useless without Internet connection, but any computer today is effectively a ‘brick’ without Internet. When was the last time you worked for 10 minutes on a computer without looking something up on the Web? ‘How about flying’ will be the most common response. Yes - Chromebook might not be the greatest choice if a) if it’s your primary work computer AND b) if you fly a lot AND c) you get a lot of work done from coach. Google is working on providing offline capabilities to Google Docs in baby steps. And Docs will be integrated with Google Drive soon. Commoditizing Office: Microsoft Office applications have been maturing and the marginal value from each additional release has been diminishing. Most people use Office for plain word processing & spreadsheets, without even using 10% of its features. I still don’t see knowledge workers in large enterprises letting go of their Word & PowerPoint in the primary work computer, but for most private and casual usage, Google Docs are more than good enough. Instant gratification: has been the biggest problem with Windows laptops that take forever to start up and shutdown. An SSD Windows laptop is quite pricey and I am not sure if it drastically reduces the time. Chromebook is amazingly fast in booting up in 7 seconds thanks to the flash drive and the super-thin OS. Low-end Disruption: Chromebook is a classic example of what Clayton Christensen calls ‘low-end disruption’ in ‘Innovator’s Dilemma’. 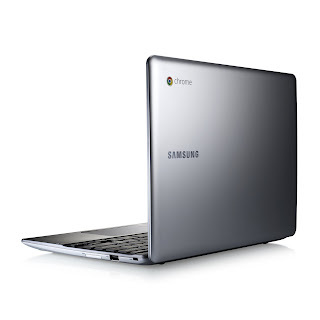 Due to its low price (& eliminating the need for Office license), Chromebook becomes compelling to small businesses or schools/ education or emerging markets as an email & browsing device that can be cheaply rolled out to many users. Google Apps for mail and documents are increasingly becoming attractive even for large enterprises (example: Roche). It'll be interesting to see if a large employer like Indian Railways or Walmart deploys Chromebook to even 10% of its employees! How does the Microsoft Surface tablet (RT or 8 Pro) measures up on each of these trends? Office: expected to be included - no need for a budget trade-off decision. Low-end disruption: Chromebook does have an edge there, as Surface is not exactly low-end and unlikely to be deployed to the masses. All of these suddenly make the decision of a potential Chromebook buyer a lot harder: Would I have paid $450 for a Samsung Chrombook ($550 for a 3G), if I could buy a Surface tablet for $600? I don't think the answer is a no-brainer, irrespective of the price, since a Surface tablet (RT or 8 Pro) is far lighter than Chromebook and seems to have a gorgeous touchscreen with the Metro UI that can run all the Windows apps (8 Pro). Update (10/18): Google today announced the next generation of Chromebook starting at $249 (swapping x86 for ARM). I think it completely changes the game. At $450, it was a tough call, but at $249, Chromebook is a bargain compared to Surface Tablet and iPad, especially if your needs are simple and you share the key beliefs outlined here. I think it was a very smart move by Google to price-cut competition and appeal to the masses and we'll see how it plays out. I don't see the MS Surface in the same space as Chromebooks, as it's still built on MS Windows, which is what most Chromebook owners are trying to escape. I'm far, far more concerned that at the first day of Google I/O 2012, there was not a peep about Chrome OS or Chromebooks. As a Cr-48 user, I have never been able to convince myself to put up my own money for a commercial Chromebook. I'm disappointed by both the price and the hardware (small battery, USB3, no Blue Tooth) of the Samsung 550. However, I was quite excited by the Nexus 7 intro, and I ordered one as soon as the keynote ended. And, unlike Chromebook rollouts last year, there were no glitches in the order process. Perhaps the second day keynote will address Chromebooks. Thank you very much for the comment. My use case for Chromebook is super-convenient & fast browsing and typing. If Surface on Windows RT/ 8 offers a great touchscreen, tablet-like & instant-on experience, and a keyboard, it might be attractive for such end-users, even though none of us love Windows much. I agree Chromebook not being mentioned at I/O is a concern. It again shows Chromebook's struggle to define the niche/ 'problem it's trying to solve' between the many computing choices. Do you see Nexus 7 as an alternative for a Chromebook? While it's true that the Surface has the integrated keyboard, I'm not sure if it gives the same laptop-type feel that a Chromebook can give for those that prefer that type of form factor. So each device has its place. With all the different types of mobile devices out there (and who knows what will come out next), running different operating systems, combined with the growing BYOD trend, there will major issues for users that want to use their devices to connect to their work applications, many of which are Windows-based. This is a headache for both IT staff and the users themselves. One solution to this is to take advantage of HTML5 technologies. For example, Ericom's AccessNow HTML5 RDP client enables Chromebook users to connect to any RDP host, including Terminal Server and VDI virtual desktops, and run their applications and desktops in a browser tab. There's nothing to be installed on the device, so that reduces hassles for everyone involved. Thank you very much for the comment. I completely agree with you that Surface might not be a replacement for the sturdy laptop feel. However, spending that much money for Chromebook just for that (surf while watching TV!) 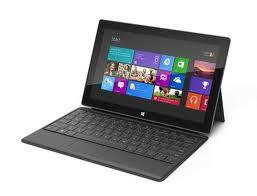 might be hard, if the Surface tablet solves many other problems and also offers the Windows advantages. The Ericom solution looks really interesting - thanks for pointing it out. As you say, the future will have many mobile solutions and using an HTML5 browser to access virtual desktops will be great to offer the best of both worlds. I currently keep Chromebook as totally personal & non-work and might prefer to keep it that way, but I can totally see the use case for enterprises. It'll help if Google starts positioning you as an add-on. It could be a much better alternative to Citrix! Alex, I never knew that Chrome Book was so tethered to the internet - what was Google thinking of? 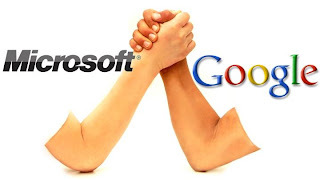 I think Google online only approach was quite intentional, as they probably did not want to directly compete with Microsoft on OS. Since Google business model is entirely oriented towards browser and cloud, it's not surprising that they focused Chrome OS on browser alone. However, I think they are responding to market feedback to also have an offline version of Docs.I think it'll be really interesting if Chrome OS and Android merge at some point.